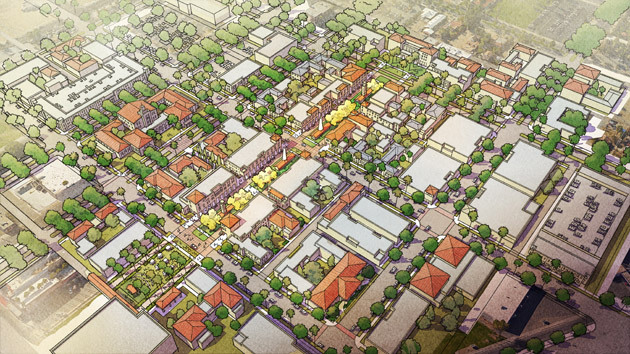 This is a visioning study for the transformation of an approximately ten-block area of downtown Indio which contains some of the City’s most important buildings and places, including City Hall, the Indio Performing Arts Center and the downtown’s main street, Miles Avenue. Over the past decades this area has seen significant disinvestment due to rampant sprawl despite its potential to become the City’s civic and communal heart. 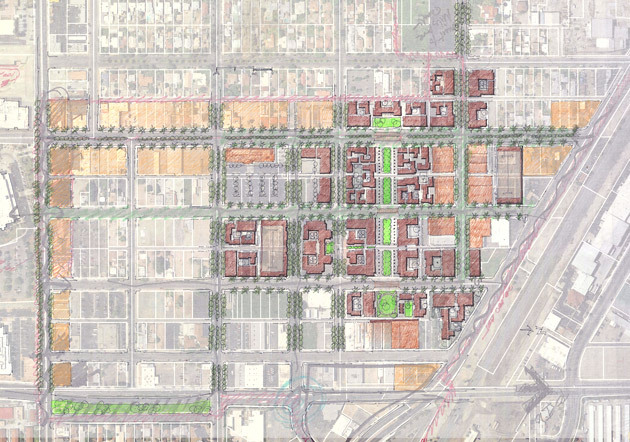 The vision outlines a broad planning framework to create a new downtown for Indio, identifying a series of distinct public and private place-making strategies to guide the process. Public projects include an iconic network of public places, including two new parks connected by a unique four-block-long thoroughfare; a civic center campus which includes a city hall, library, EOC and police building; and the incremental development of art- and media-based projects. Private catalytic projects include a two-block pedestrian-centered village of commercial, entertainment and residential uses; 300 units of mixed-income housing in courtyard housing configurations, a new hotel on Miles Street, and various infill mixed-use buildings which will form new street faces and restore the architectural fabric of Downtown.